As part of our mission to promote a sustainable workforce, Construction Citizen is proud to highlight incredible community service organizations all over Southeast Texas. Neighborhood Centers, which has 70 locations in the Houston area, is putting people to work every day across the region. Their approach is unique, comprehensive, and yields real results. 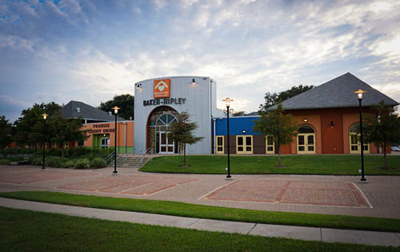 The great folks at Neighborhood Centers were kind enough to give our team an inside look at one of their five community centers, Baker Ripley, in the Gulfton/Sharpstown area of Southwest Houston. 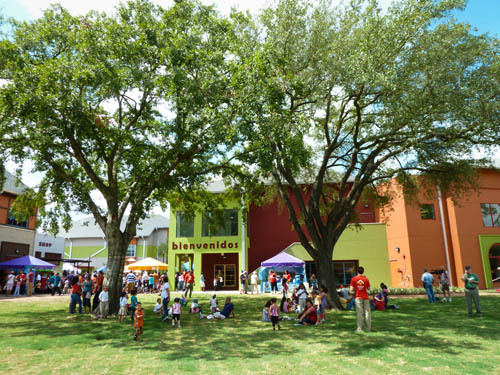 The neighborhood is considered the “Ellis Island of Houston” because of its rich diversity thanks to an influx of immigrants from all over the world. More than 70 nations are represented by the population, which collectively speaks about 40 languages. "You can see it (the diversity) in the restaurants, you can see it in the way people dress,” said Frida Villalobos, who speaks for the organization. No matter where they come from, Villalobos said there are three main areas of focus for the hundreds who visit Neighborhood Centers daily. "They want to feel like they belong, they want to learn, and they want financial stability," she said. Since 2010, they’ve helped about 24,000 immigrants by helping them learn how to become citizens. “They can earn, on average, about $13,000 more per year if they’re citizens than if they are not,” said Mike Lykes, Director of Neighborhood Initiatives. Lykes said education is key. More than 250 adults attend classes every day to learn English, work toward obtaining a GED, or both, Lykes said. In the Gulfton area, 43% of the young adults who show up for programs don’t have a high school diploma or its equivalent. Tackling that challenge also means putting kids on the right track from the very beginning. In 2015, Neighborhood Centers became the largest Head Start provider in the region serving more than 3,000 children across 30 locations. Helping hard-working people make a seamless transition into a career requires close coordination with local colleges and the 11 Workforce Solutions career offices operated by Neighborhood Centers. Last year, more than 200,000 Workforce Solutions customers were served, Villalobos said. And the success rate is huge: 70% of those who were unemployed found a job within 3 months. Free tax preparation is offered on site. During the last tax season, they prepared 37,000 returns and the number grows each year. The returns processed last tax season resulted in $53.3 million in refunds going back into the local economy. Since 2009, that number is $288 million. 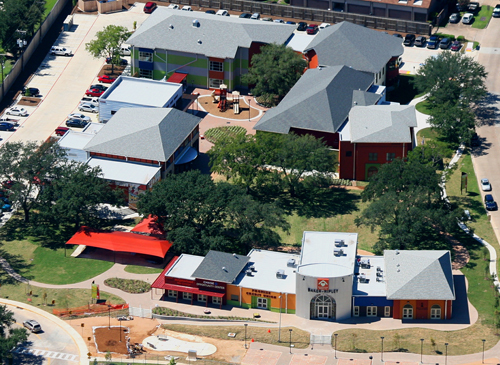 The Promise Credit Union was opened in 2008 as a way to help deal with the area's large number of predatory lenders and the high percentage of Texans who are unbanked or under-banked. The main focus is on providing small business and car loans. They also offer one-on-one mentoring for small business owners. Villalobos said one major factor in Neighborhood Centers' success across such a vast region is they understand a cookie cutter, one-size-fits all approach will not work in a place as diverse as Southeast Texas. "That's why it's important to continue to talk to the community and ask ‘what do you need?’ What can we do to make this a better place?” Villalobos said. To learn much more about Neighborhood Centers, visit their website. To make a donation, click here.